If you are a Disney fan you may have already seen these announcements on social media over the last few days. 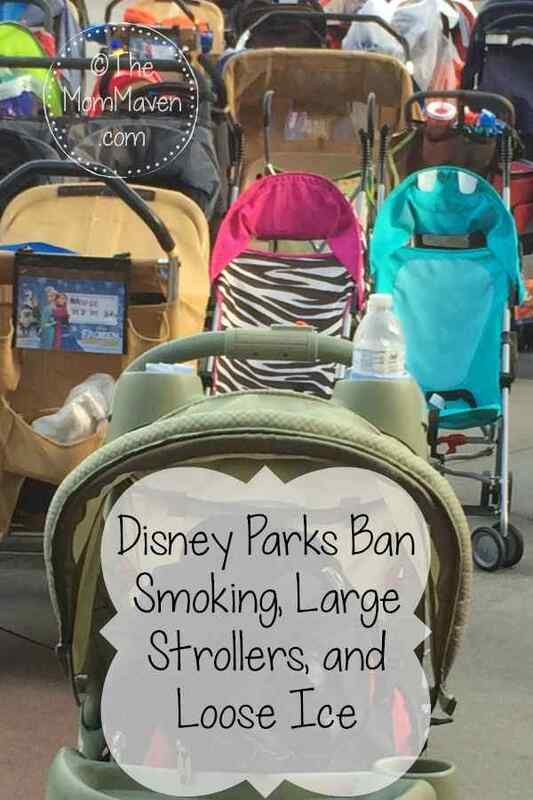 I know not all of my readers fall into that category so I thought we’d talk about the fact that Disney Parks ban smoking, large strollers, and loose ice. As of May 1, 2019 smoking areas will no longer be present inside Walt Disney World or Disneyland theme parks, water parks, ESPN Wide World of Sports Complex or Downtown Disney District in California. This rule includes cigarettes, cigars, pipes, and e-cigs. Thankfully we will no longer have to walk through clouds of second hand smoke as we walk by smoking areas. I love that e-cigs and vaping are also included. Walking through random vapor clouds has become a hassle in the parks. This smoking ban will make it very difficult for smokers. They will have to exit the park to smoke. If you have smokers in your family or travel party, make sure they are aware of this new rule before you plan your trip. Disney has reduced the size of stroller that is allowed in its theme parks. Large strollers are difficult to maneuver and can clog walkways throughout the parks. Beginning May 1, Disney is adjusting their guidelines on stroller sizes, which will require them to be no larger than 31″ (79cm) wide and 52″ (132cm) long. The good news – many strollers on the market, including many double jogging strollers, fit within these size guidelines. Wagons are not permitted in Disney parks. Beginning May 1, stroller wagons will also no longer be permitted. If you’ve been a reader here for a while you know of my disdain for the sheer number of strollers at Walt Disney World, I wrote about it 4 years ago! I am glad they are lessening the size of the strollers and prohibiting the stroller wagons. While I know wagons have never been allowed in the parks, I have seen them there. I hope the new, stricter rules will be enforced not only at bag check and park entry but throughout the parks if someone slips through. Beginning immediately, loose ice and dry ice are no longer allowed in your coolers and cooler bags. Funny enough, this is the new rule that I have seen the most complaints over! Also, just a reminder that coolers, and other bags brought into the parks have a maximum size of 24″ x 15″ x 18″, though I have no idea why anyone would want to lug anything that big around the parks! You can use reusable ice packs or regular ice in zippy bags. The problem with the ice is this-at bag check, security has to dig to the bottom of the ice to check for contraband. This takes time and freezes fingers. Also, dry ice is just dangerous. I think all of these rules are great. I do feel that the fact that people were lugging that much ice into the parks is rather silly. Ice gets heavy! I agree food and drinks at Disney are overpriced and families need to find ways to save money. We also learned early on that lugging huge bags around the parks with us to save a few bucks just wasn’t worth it. What are your thoughts? 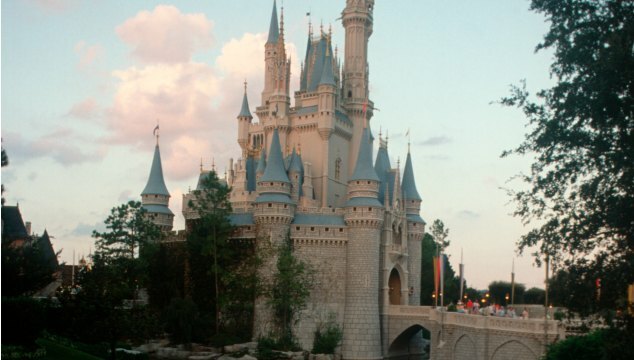 Are these new rules going to impact your next Disney vacation positively or negatively? Leave me a comment and thel me know your thoughts.